Garage door repair and maintenance tips from our experts are listed below. There are many types of garage doors and the truth is that the choice must be made based on the requirements of properties. When there is a rather limited space in the garage, overhead garage doors are an excellent choice because they will open up along the ceiling leaving the entire entrance free for the passing of your car and, thus, they won't bother your movements. Some people would love to install a glass garage door but they are skeptical thinking about the exposure of their private worlds. These matters are easily solved today with milk glass. There are many options in regard to the shade of the glass panels. You can get mirrored or white laminate glass, bronze or similar shades, which will keep your garage sunny but protect your privacy. One way to enhance the beauty and value of your house is by installing glass garage doors. They're spectacular, highly resistant and strong. They come out in different types of doors and insulated. You can match them with wood or aluminum frames and choose the shade of the glass panel. They'll save you a lot from energy consumption since they allow the sunlight to penetrate the garage. When installing the sensor, you have to check for a hole on both sides located in the railing. The two units must be connected with the wires of the door. Once functional, it will be able to sense an obstruction. This is applicable to those who have automated garage doors. How to clean the garage door? 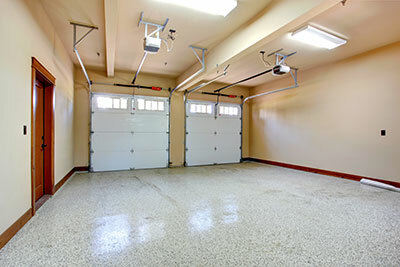 You can easily clean the garage door using a washing product created for cars. Some of them wash and wax at the same time, so you might want to invest in such a product. Before applying the product, make sure to clean off the loose dirt and debris with a garden hose. Also, remember not to use abrasive cleaning products either. This symptom indicates that there is too much tension in the spring. To confirm this, our experts in Shoreline recommend that you test the tension. Pull the release handle to disconnect the opener and lift the door halfway to open position and then let go. Ideally, the door will stay in place. It if shoots up, then the tension has to be reduced.